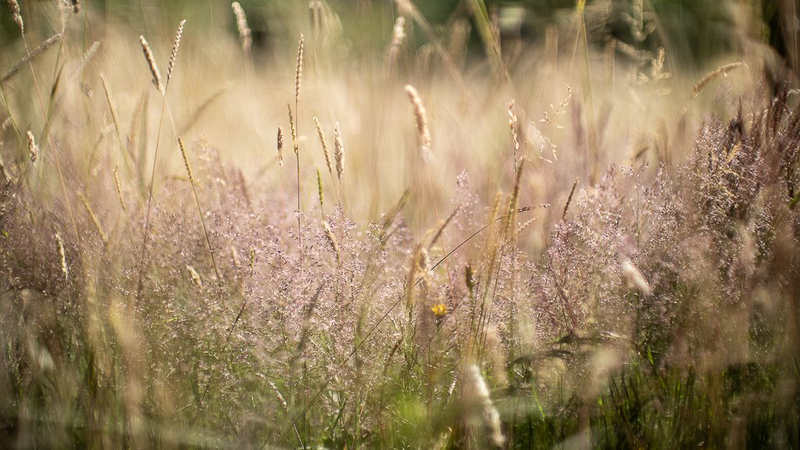 What a difference the sun has made to the meadow. The hay was taken almost a month earlier than last year, so at the beginning of August, instead of rows of grass, we already have the first plants reflowering after the cut. 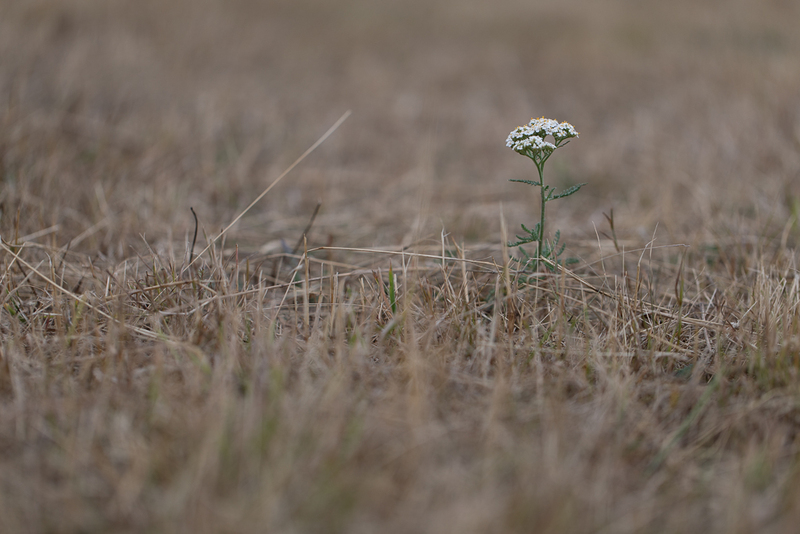 Yarrow, birds-foot trefoil, ribwort plantain and meadow buttercup can all be seen flowering through the dried grass stalks now, and in flood field, the tiny green stars of lady’s bedstraw plants are beginning to change the colour of the ground. 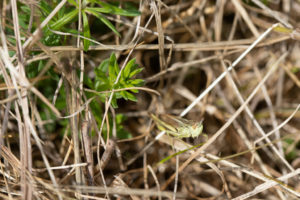 Lady’s bedstraw and a green grasshopper. 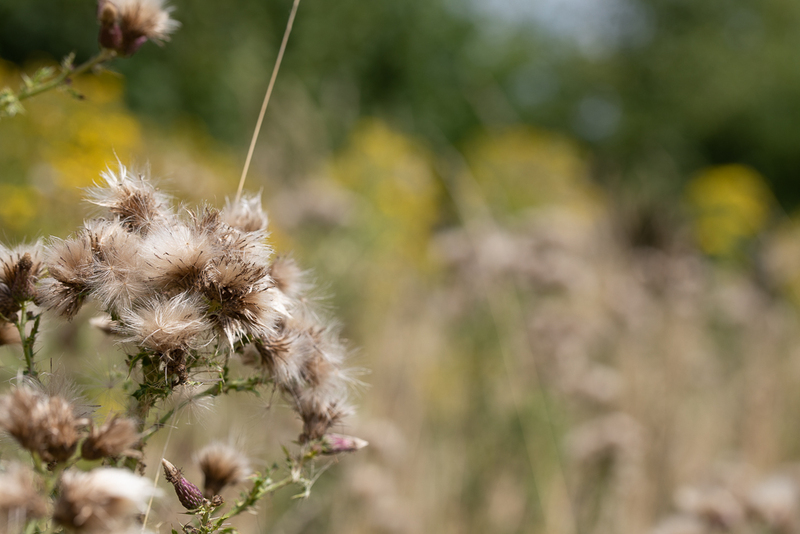 The hot weather means some plants are quite far ahead of schedule, and the patch of creeping thistle behind the willow cathedral that was covered with nectaring butterflies last summer, has almost entirely gone to seed already. I did stop here to watch a hornet hunting among the great willowherb. Though their sting is supposed to be very painful, they are not aggressive unless defending their nest or a food source and it is a joy to watch these large brown and yellow, predatory wasps. Creeping thistle and ragwort in the background. 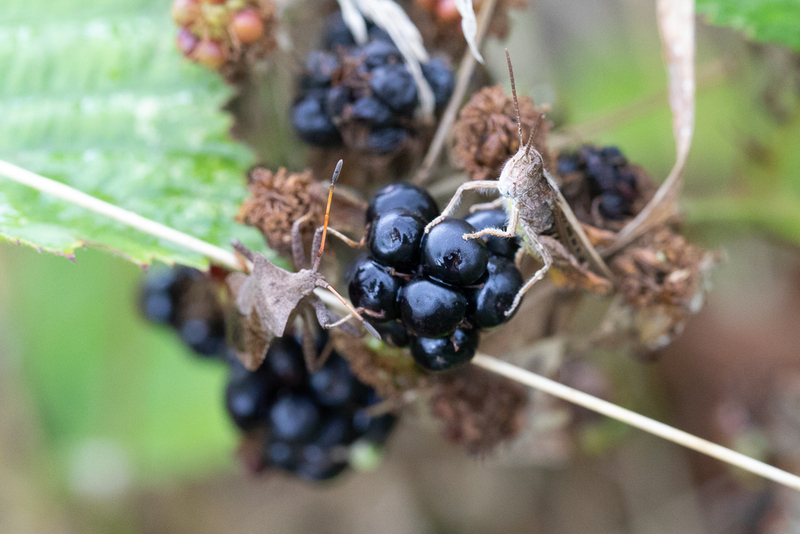 You have probably noticed that the blackberries and other fruit are already ripe in lots of places. Will this mean a shortage of food in the autumn? Will the sunny weather now mean next year’s butterfly numbers are reduced? We’ll have to wait and see. Ripe blackberry with brown grasshopper and bug. If you want to add to the picture for butterflies, the Big Butterfly Count runs until the 12th of August. 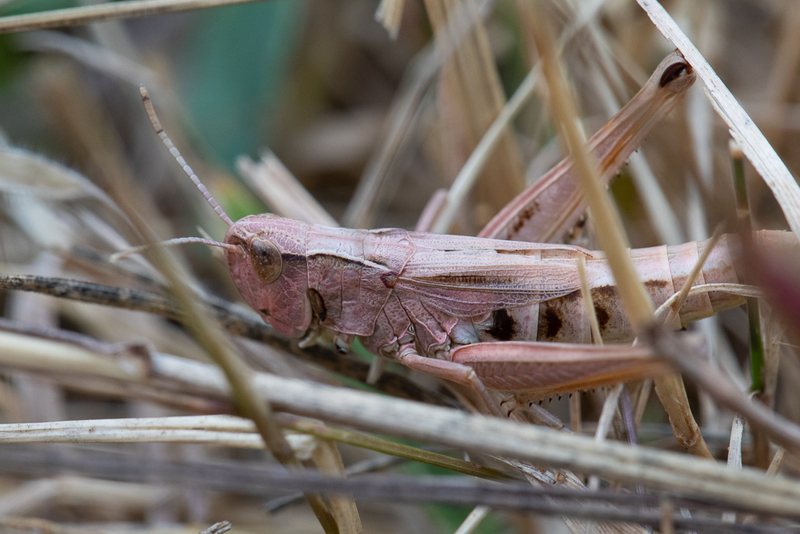 It only takes 15 minutes and your sightings will add to data from all over the country to help to assess how populations are faring (so far, the map of counts only shows two on Longrun). 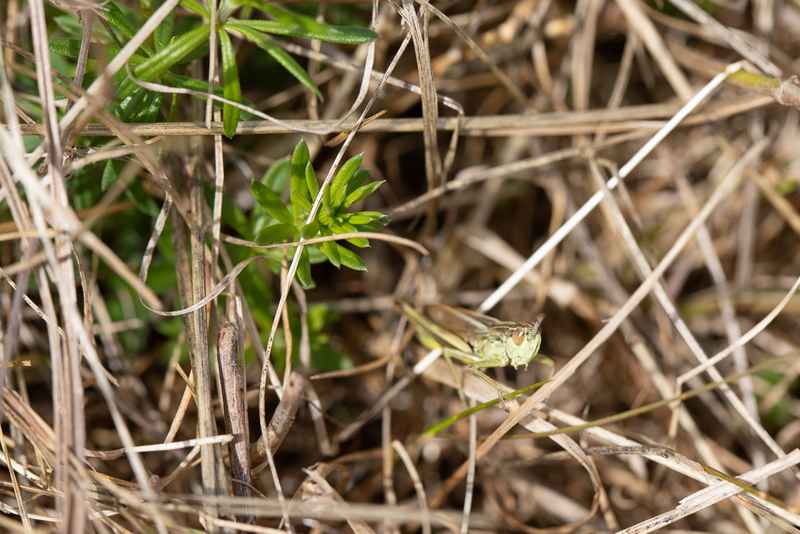 You could also join the British Dragonfly Society’s white-legged damselfly investigation. Or you can find friendly botanists on social media for #wildflowerhour on a Sunday evening to see what’s in flower all over the country – and they’ll even help you identify what you’ve seen (Facebook/Twitter/Instagram). Pink grasshopper to complete the colours. If you’d like to get involved in some practical work on the meadow this month, the Westcountry Rivers Trust’s habitat improvement week has been moved up and will now take place from the 14th-17th of August, 2018.